Is CSUN really a contender in the Big West Conference? That remains to be seen, but there is no denying that the Matadors are improved from a year ago. 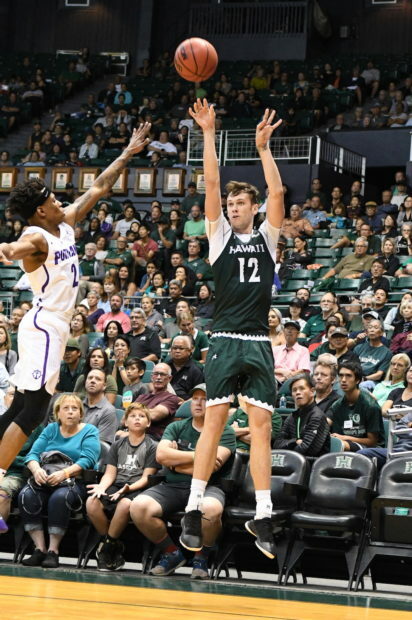 The University of Hawai’i basketball team will take on the Matadors in a Big West matchup of very-early conference unbeatens on Thursday. The Rainbow Warriors are 10-5 overall and 1-0 in the Big West; CSUN is 8-10 and 2-0. 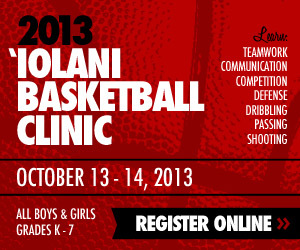 The game is scheduled to start at 5:00 p.m. Hawai’i time (7:00 p.m. Pacific Time) at the Matadome in Northridge, Calif. 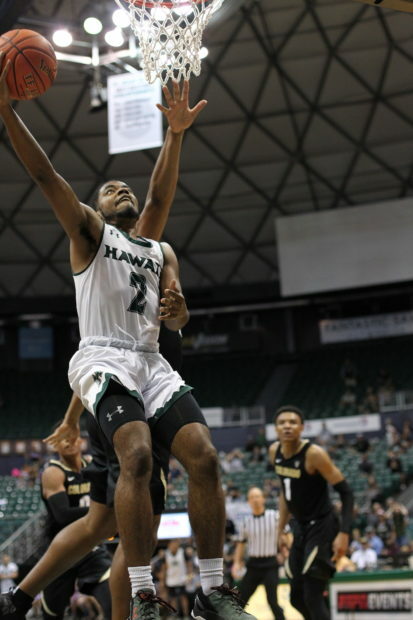 It is part of a two-game road trip for UH, with a Saturday game at UC Riverside to follow. Both road games will be available through streaming video at ESPN3.com. Hawai’i has stayed at home for the past six weeks, and compiled a 6-1 record during that time. It ended with a 79-68 conference-opening win over Cal State Fullerton last Wednesday. In contrast, CSUN has already played three road games in January, including Big West road wins at UC Riverside and Cal Poly last week. While CSUN’s 8-10 and 2-0 records might seem modest at this point of the season, it is already an improvement from a year ago. The Matadors finished the 2017-18 season at 6-24 overall and 3-13 in the Big West. Two significant additions have sparked the turnaround: a new head coach and a freshman phenom. Mark Gottfried is in his first season as head coach at CSUN, and was previously a successful head coach at Murray State, Alabama and North Carolina State. Gottfried has the Matadors playing at a fast pace, and they currently lead the Big West in points scored (78.2 per game) and points allowed (82.4 per game). Most of CSUN’s early-season buzz has centered on Lamine Diane, a 6-foot-7 forward who has emerged as one of the best freshmen in the country. He is averaging 23.9 points and 11.1 rebounds per game. Both totals lead the Big West, and he is the only player ranked in the top 10 in NCAA Division I for both scoring and rebounding. The Matadors, however, are not a one-man team. Terrell Gomez, a 5-8 sophomore guard, is averaging 19.4 points and 3.2 assists per game, and leads the Big West in 3-pointers made with 63. He was named the Big West Player of the Week on Monday after averaging 27.5 points per game in CSUN’s two conference wins last week. Rodney Henderson Jr., a 6-5 junior guard, is averaging 12.7 points and 4.0 rebounds per game; Darius Brown II, a 6-1 freshman guard, is contributing 8.5 points and a conference-best 5.3 assists per game. The Warriors rely on a more balanced approach, with the five starters contributing almost equally. Junior guard Eddie Stansberry leads the team in scoring at 13.4 points per game, and ranks second in the Big West with 47 3-pointers. Senior forward Jack Purchase is averaging 11.0 points and 6.6 rebounds per game, and has made 35 3-pointers. Junior forward Zigmars Raimo is contributing 10.7 points and 6.7 rebounds per game, and ranks third in the Big West with a .553 field goal percentage. Senior guard Brocke Stepteau is averaging 10.3 points and 2.9 assists per game; sophomore guard Drew Buggs is at 8.8 points, 4.6 rebounds and 5.0 assists per game. After battling early-season issues, senior guard Sheriff Drammeh has emerged as a significant boost. He is averaging 7.7 points per game, including a career-high 23 in the win over Fullerton last week. Since joining the Big West in the 2012-13 season, Hawai’i has a 9-4 record against CSUN, including 4-2 in games played in the Matadome in Northridge. The Warriors beat the Matadors, 65-46, last season at Northridge, with Buggs tallying 11 points and 11 assists. Where: The Matadome (2,200) – Northridge, Calif.
How did a terrible basketball program like CSUN land Diane? and a 7-0 reserve center, Mahamadou Kaba-Camara. Also Ron Artest III, who could be red-shirting this season ? It sounds like Reggie Theus recruited Diane to CSUN. Theus always had good recruits but a lot of them didn’t qualify and his teams always tanked. You could tell they had selfish guys every year.